Carlo is an experienced management consultant with a strong analytical mindset, an innate ability to quickly understand client issues in different contexts, excellent communication and interpersonal skills. Carlo is a Principal based in the Dubai office and a member of the “Energy and Utility” and “Strategy & Organization” Practices. His main areas of expertise cover strategy definition, organizational design, transformation programs and sustainability, which he has learned and practiced in several industries, mainly: postal, travel, private equity, FMCG, manufacturing and financial services. Accustomed to work with multicultural teams in different countries, Carlo started his career with Arthur D. Little in Italy, where he was involved in projects in several countries, e.g., Belgium, China, Croatia, France, Iran, Italy and Switzerland. 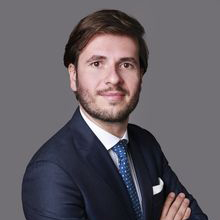 In 2013, Carlo participated in the Arthur D. Little international mobility program, and then transferred permanently to the Dubai office, where he has been specializing in Utilities. Carlo supports the case managers in the end-to-end management of complex projects in the Gulf Cooperation Council (GCC), with responsibility over the team, deliverables, client relationships and project profitability. In addition, he has responsibility over the proactive development of business opportunities, as well as improvement of the company processes, where he plays a key role in the Intellectual Capital Management initiative and in the Collaboration initiative. Carlo is fluent in Italian, English and French, and has basic communication skills in Arabic.